For early bookings until October 30, 2018, a 10% discount is applied. Price for 3 nights with breakfast and festive dinner in a double room / apartment for the period 23.12-27.12.2018. The offer is valid only for direct bookings at the hotel. Prices do not apply to official holidays and special dates! Comfort, tranquility and harmonious environment are perfectly matched here because we care about your well-being. We offer comprehensive services related to health care, beauty and the good shape. Mineral water from the six springs and wells, with an average temperature of 37 ° C, is clear, colorless and with pleasant drinking qualities. Here are treated diseases of the nervous system, the heart and blood vessels, the locomotory system, the internal secretion glands, etc. Particularly favorable is the impact of the resort on the neuroses – the diseases of our time. The green wreath of the Balkans, the pine park, the aroma of thousands of roses, the coolness of the air, the soft greenery of the lawns soothe the nervous system, eliminate fatigue and quickly restore normal blood pressure. 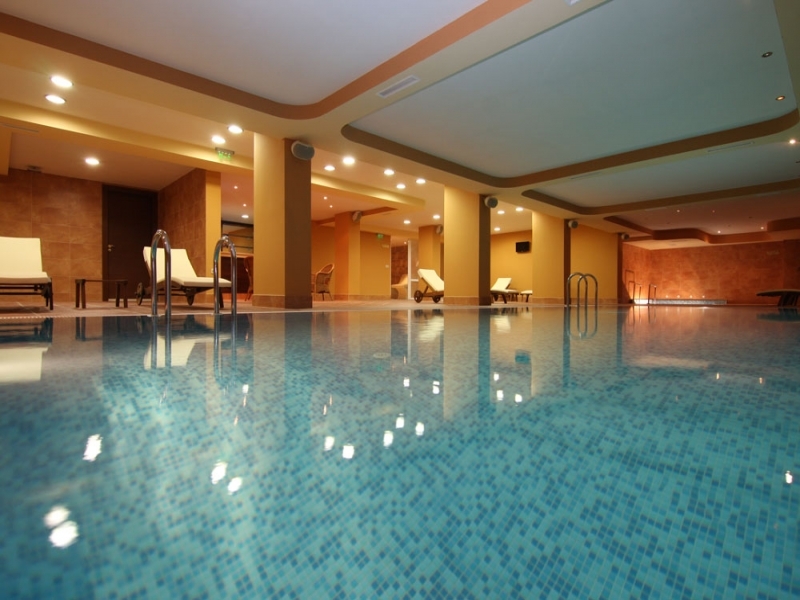 A place for health, tonus and relaxation! The hotel’s fitness room is equipped with LifeFitness cardio equipment and features a gladiator, cross-country ski instructor and bicycle gauge. Train regularly and not only will you feel, but you will look more confident. By improving your body, you will start to see yourslef in a different way. No matter how heavy you are, your size, gender, or age, training can make you love your body again and feel significant. Maybe your efforts are worthwhile?